The Beloit Janesville Symphony Orchestra will perform Gershwin’s Rhapsody in Blues. The concert will be held at Eaton Chapel at Beloit College at 2 pm on April 14th. The concert includes an original piece by Dr. Rob Tomaro, The Bridge of Souls, Gershwin’s Rhapsody in Blue featuring David Newman, Piano Soloist, and The Pines of Rome by Ottorino Respighi. The Beloit Janesville Symphony Orchestra is now in its sixty-fifth year and serves as a major cultural and educational resource to Southern Wisconsin and Northern Illinois. The orchestra provides a rich variety of symphonic music and related cultural activities to the citizens, schools, and other institutions in the area. 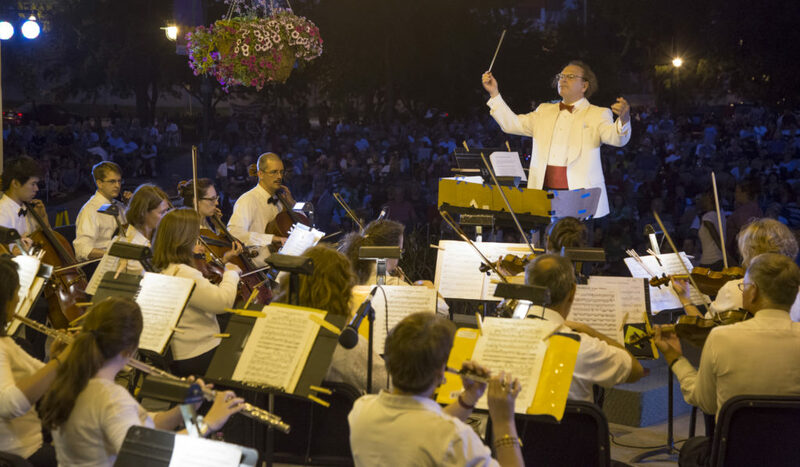 The Beloit Janesville Symphony Orchestra is the professional symphony orchestra of Rock County and performs a series of classical and pops concerts, as well as Independence Day concerts in Janesville and Beloit. Click here to follow the Beloit Janesville Symphony Orchestra’s Facebook page. Click here for more great ideas for planning your trip to the Beloit area.